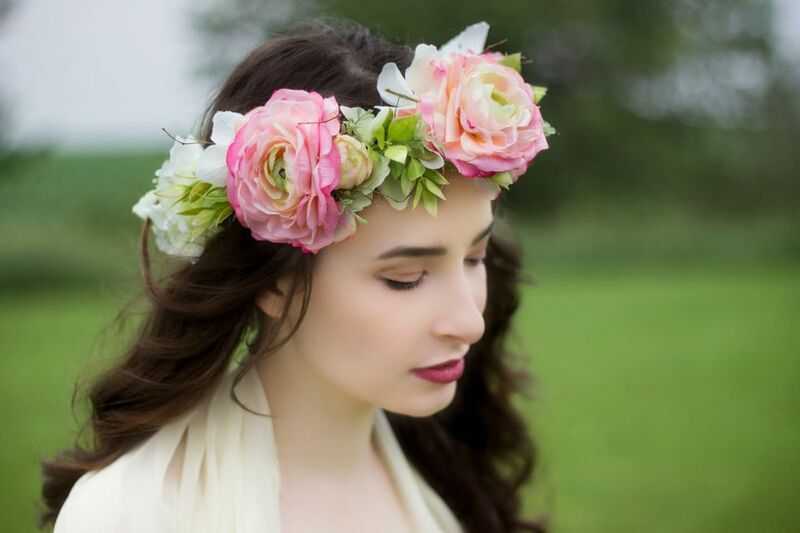 Look like a spring goddess with a chic DIY floral crown on your head perfect for weddings, photo shoots or spring themed parties. To make your own floral crown you will need to find floral wire or something to use as a base to sit comfortably on the top of your head that will be decorated with various artificial flowers and greenery that is attached with floral tape and hot glue. Take a regular boring glass vase and turn it into something stunning by covering it with pastel colored drinking straws to create the perfect spring vase to display fresh cut flowers in your home. One of the cherished signs of springs are the beautiful pink blossoms of cherry trees that cover the tree with small flowers. All over the world, and particularly in Japan cities in Japan cities hold cherry blossom viewing parties, where people hold picnics to take time to view the flowering trees and spend time outdoors. Create your own cherry blossom themed decor for your home by assembling artificial cherry blossom branches together to create a wreath so that you can view the soft pink cherry blossoms year round. Dress up your front door for spring with a beautiful modern floral spring wreath that uses a embroidery hoop for the wreath base and is decorated with chartreuse artificial moss to add a beautiful textural base to the attached flower accents. To hang the wreath, make sure to pick up a ribbon to tie at the top of the wreath and attach to a hook at the top of your door. Set your table for your next party with these floral napkin rings that are affordable to make as they can crafted with inexpensive artificial flowers and green floral tape. This weekend pour yourself a cup of coffee and spend the afternoon relaxing with this simple craft that anyone can make. Transform regular balloons into a chic decor for your next spring party by attaching artificial flowers to the base of the balloon and gathering the balloons together with a weighted base. This DIY rosebud wreath is simply elegant would be the perfect way to add curb appeal to your home by your own homemade wreath on your front door. Using a twisted twig wreath available at craft stores, intertwine the wire stems of artificial roses into the wreath, and if desired fill with other flowers in similar hues, such as tulips or calla lilies to fill empty spaces and add variety to the wreath. One of the cherished beautiful moments of spring are when Magnolia trees blossom but their blossoms only stay for a short period of time, so craft your own paper magnolia blossoms to decorate your home year round. Using pieces of crepe paper to form flowers to decorate cut branches you can make a lovely floral accent that can be placed inside a vase to add a small burst of pink or white within your home.